I'm working on changing my bedroom to a Primitive Country/Psalm 23 theme. I have several do-it-yourself projects in the making -- the first of which is the above pillow. I based my design on this framed picture from Pinterest. I also made a second pillow for a friend using the same saying, but a different design. I got the pattern for this one the Homeberries site -- scroll down to find this one. Homeberries --LOTS of patterns here! These are so pretty! I wish I could sew! 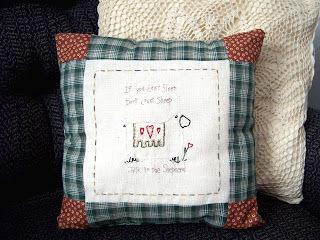 i don't do any kind of needle work, but after seeing your pillows I wish I did. I go all the way to VA to vacation (Williamsburg) and each time I go, I visit their wholly sheep. They are my favorite! Thanks for the smile! These are so sweet, Esther. Thank you so much for this post. 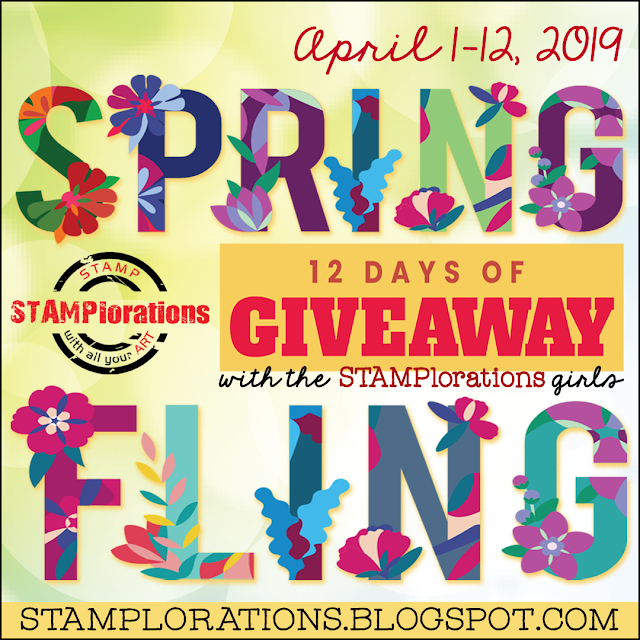 I want to let you know that I posted a link to your blog in CBB Digital Scrapbooking Freebies, under the Page 2 post on Sep. 26, 2012. Thanks again. What lovely pillows. I really like the sheep. What a darling pillow, Esther. Your creativity always amazes and blesses me, and I am SO grateful when you share your beautiful art with us. You always think and create "outside the box", and it inspires me SO very much. You are such a blessing. 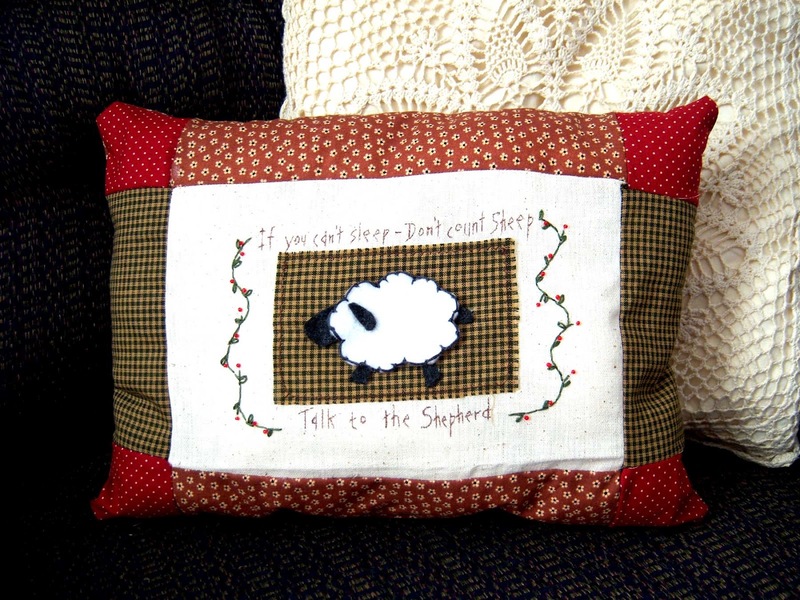 I love that adorable sheep pillow! Great job! Such a great project. Love the message you incorporated in this work and I know it will be appreciated by anyone who sees them. Simply wonderful! Thank you for blessing us with your art this week at Word Art Wednesday. Hugs!